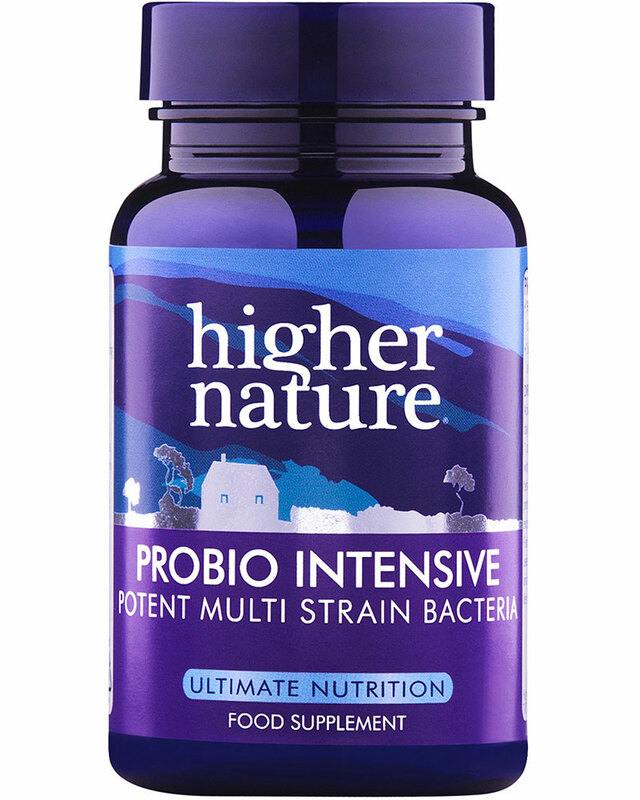 Higher Nature Probio-Intensive is highly stable & specifically designed for use during & after antibiotics, to help restore a healthy gut floraThree capsules supply 9 billion viable organisms. 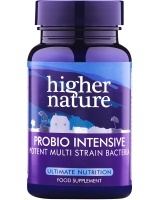 This high potency, well-researched formula of beneficial bacteria is specifically designed for use during and after antibiotics, to help restore a healthy gut flora. Each of the three strains; Lactobacillus acidophilus, Lactobacillus casei and Bifidobacterium longum; have been chosen to act synergistically for greater effect. The formula is highly stable, ensuring that the bacteria reach the colon alive. It also travels easily and needs no refrigeration. Three capsules supply 9 billion viable organisms. In the order of 9 billion viable organisms at time of manufacture. Lactobacillus acidophilus, Lactobacillus casei, Bifidobacterium longum. Sugar, salt, starch, wheat, maize/corn, artificial preservatives, colours or flavourings.